Back on the road again, this time we’re off to Beaconsfield to play against Sloouu, Sloouu, sorry can’t say it, still suffering from post-traumatic stress disorder, enough to turn the PRATS to drink. Have you ever Googled the meaning of Sloouu, Sloouu, soddit Sluff? It doesn’t paint a pretty picture, 1. The cast-off skin of a snake. 2. A mass of dead tissue separating from an ulcer. 3. Something that may be shed or cast off. 4. A swamp or bog. 5. A situation characterized by lack of progress or activity or maybe just a town in Berkshire. No wonder they play elsewhere. Still there are a few decent hostelries for us to imbibe ourselves within. 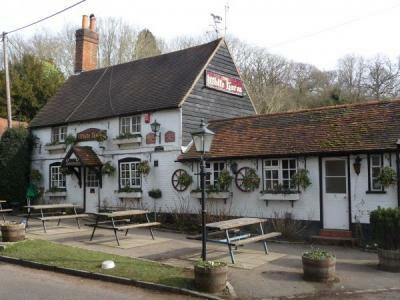 We plan to start the day around mid-morning and make our way to The Malt Brewery in the village of Prestwood close to Great Missenden. The tasting bar is open from 10:00am so we should get a pint reasonably early. I don’t recall supping these ales before. Then it’s onto a favourite pub for the PRATS, been here a few times over the past two seasons The White Horse Hedgerley just a couple of miles away from the ground. Eight ales available all served directly from the barrel. This is a delightful pub, they always have at least one ale from the Rebellion brewery and so far on every visit ale from Oakham Brewery, Citra should be happy. 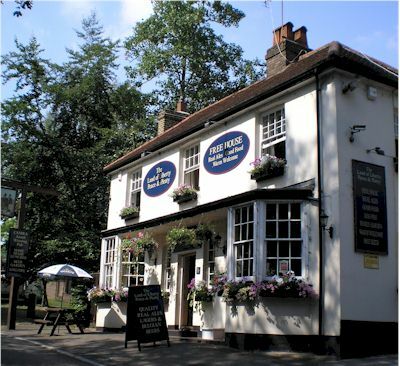 PRATS favourite The Land of Liberty, Peace & Plenty a hidden gem just a few hundred yards off the M25 at Junction 17. There are seven or eight ales on hand-pump, pork pies, pasties all the way from Cornwall and jars of tasty peanuts and sundry treats, marvellous. If we get time we may also pop into the Cuckoo at Toddington just off M1 junction 12, we’ve been here before this season after the Dunstable debacle. It looks as though the PRATS are in for a good day out, and if we get a result I may be able to type Sloouu, Sloouu, well maybe. I really enjoy reading these - keep up the good work. My commiserations to the member of your party that lives in Rushden.